The Compass Lab was recently featured in the documentary film From Storyteller to Cyberspace: The Legacy of Walter Ong, SJ. Media Production/ Pedagogy: What do I do with all this sh*t? What do I do with all this sh*t? 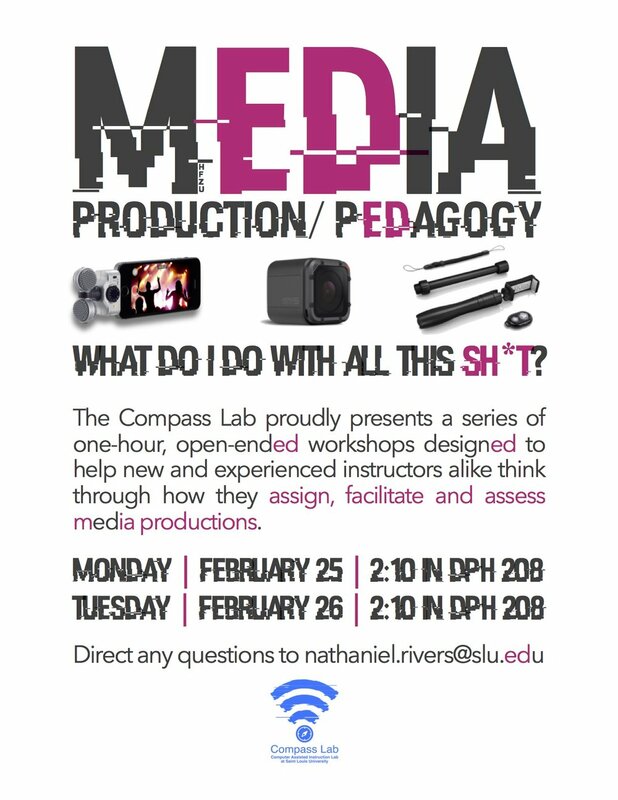 The Compass Lab proudly presents a series of one-hour, open-ended workshops designed to help new and experienced instructors alike think through how they assign, facilitate and assess media productions. Be on the lookout for announcement about upcoming workshops on assigning, assisting, and assessing new media projects.